I have had a couple of opportunities to commute to work by Washington State Ferry recently as we are spending more time on the Olympic Peninsula. Two very different days. 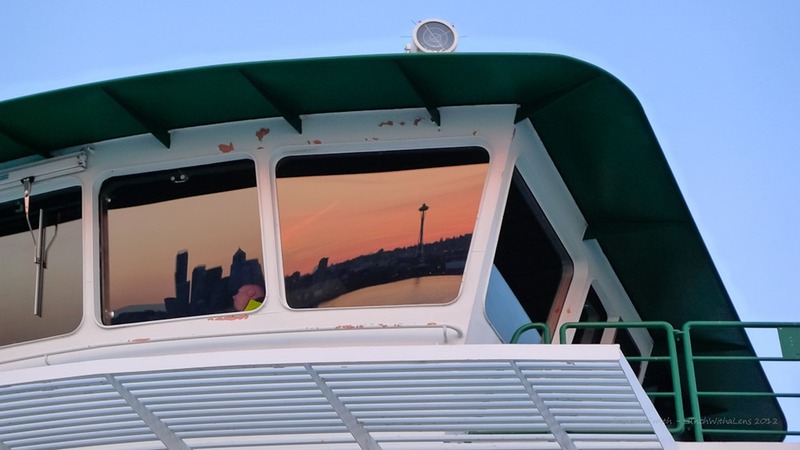 On the first it was a glorious sunrise and just after leaving Bainbridge I saw the possibility of some cool reflection photos in the ship’s windscreens (sure that isn’t the right nautical term. 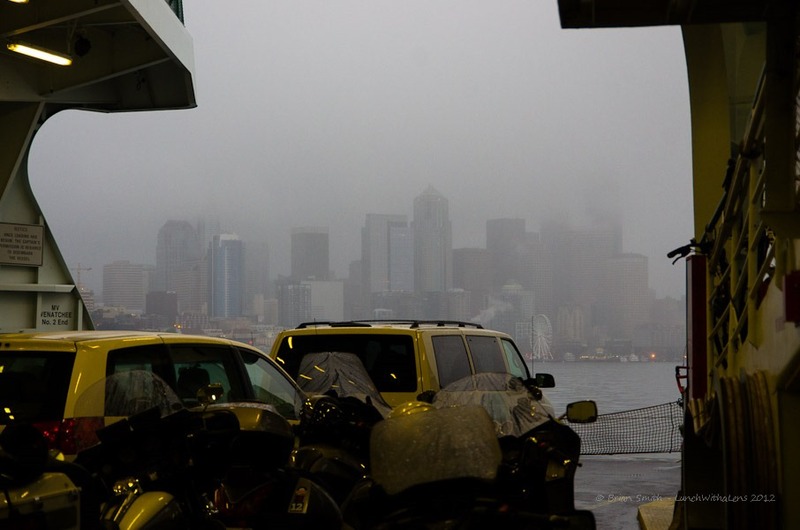 I didn’t even have to get the captain to move the ship around – as we got close to Seattle it was just a case of standing in the right place.